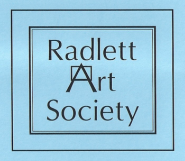 The Radlett Art Society runs a weekly painting workshop at the Radlett Institute for Members. This keen group (of all abilities) meets from 1:30 to 3:30 pm on Thursdays. Our studies include: Still Life exercises; occasional life models; portrait models; demonstrations by artists and some members choose to work on their own ideas, all with advice and encouragement. Cost: £4 per session towards room hire and tea. At present we have a waiting list but if you are interested please contact Carmen Beal (01923 854567).